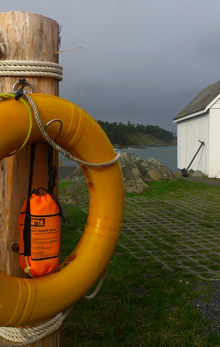 01.We were wondering around Fisgard Lighthouse, quite interesting spot with very rich history on the pacific coast near Victoria on the Vancouver Island in British Columbia. 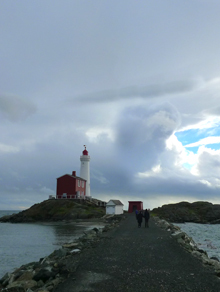 This is the oldest lighthouse on the Canada's west coast and it is still operational. It was built in 1860 when Vancouver Island was not even part of Canada. 02.Day was partially sunny and not that cold for us used on winter conditions in the Toronto area. [it was only +1˚C]. Unfortunately it was very unpleasantly windy, so discovery of the little room converted to the museum was welcoming sight. 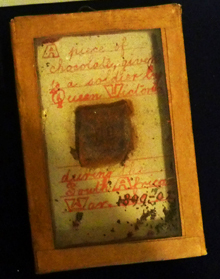 03.few exhibits – OK – peace of a chocolate saved from the box send to the British troops by Queen Victoria in South Africa in 1899, hmmmmmmmm? 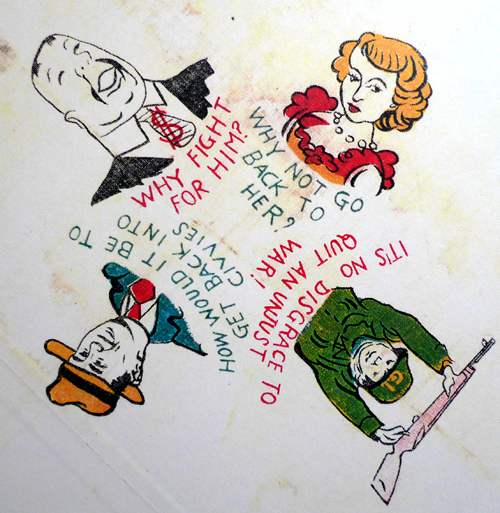 04.Look at this [psychograph ] handkerchief! It looked quite inappropriate to be in the military museum. Explanation provided added little light on the reason it was here. 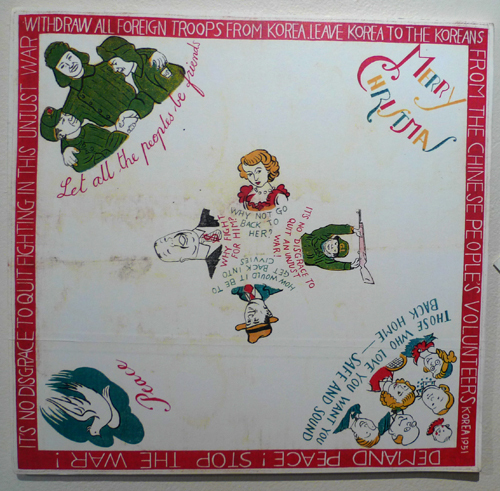 This handkerchief was dropped in 1951 on UN troops positions urging them to leave Korea. Main message was added to the Christmas wishes. "Demand peace! Stop the war! It's no disgrace to quit fighting in this unjust war. Withdraw all foreign troops from Korea. Leave Korea for Koreans. From the Chinese people's volunteers." 05.How short sighted were the visions of the "western world" looking from the Korean and Chinese perspective back then. How very different is the world we are living now. Piece of chocolate from 1899, saved by the soldier.